Now who doesn't love cinnamon rolls? I mean, what's not to love? 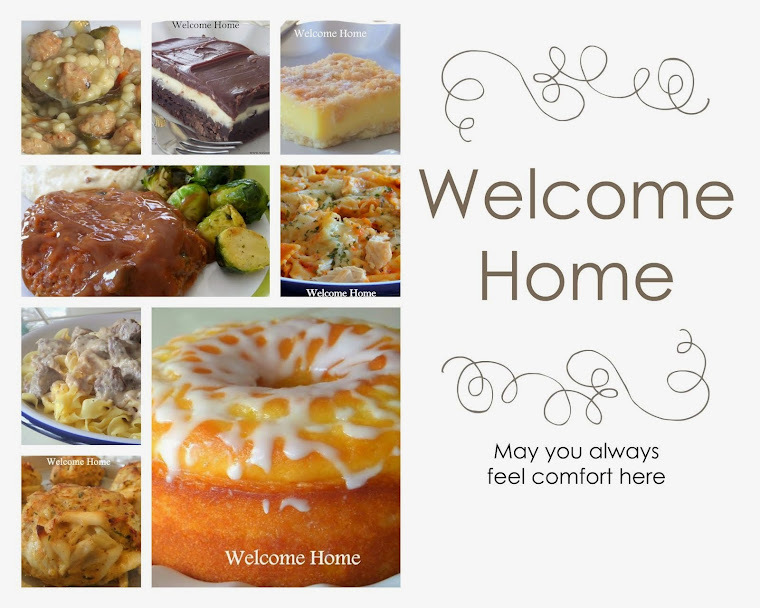 Served warm right from the oven, they make the ultimate comfort food. And they're just perfect in the mornings with that hot cup of coffee or tea. They even smell heavenly while they bake in your oven. But let's face it, they are rich and decadent and there's always that slight twinge of guilt after you've devoured one, right? So I decided to change that. 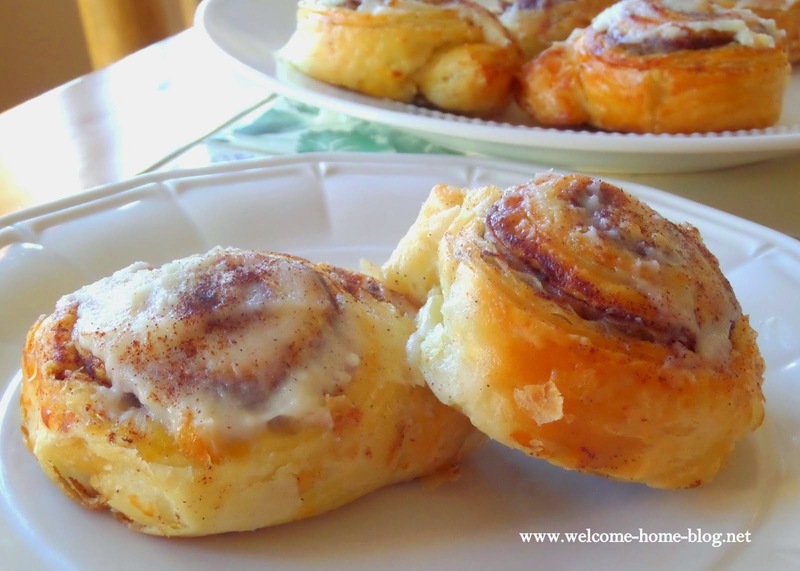 I made these quick and easy baby cinnamon rolls! And I used Star Fine Foods Butter Flavored Olive Oil to cut back on saturated fat, sodium and cholesterol without sacrificing the flavor of these decadent little morsels! Can I call them diet Cinnamon Rolls? No. But I can say they're healthier than those big calorie laden ones. Can you eat just one? Doubt it! Preheat oven to 350 degrees and pour 3 tablespoons of the butter flavored olive oil in a round pie plate. Add the brown sugar and mix with a fork until blended. Set aside. Remove dough from the can and unroll, keeping the dough sheet together as much as possible. Using your fingers, pinch seams together and then brush with the remaining butter flavored olive oil. You can add a little more oil if you don't have enough. Next, combine the granulated sugar and the cinnamon together and sprinkle evenly all over the top of the dough. Starting with the long side of the dough that is closest to you, tightly roll dough into a log, pinching the edges to seal. Then with a long serrated knife, slice dough into 8 slices. If you want them smaller, you can slice 16 rolls. Place rolls in the prepared pie plate and sprinkle with any remaining cinnamon and sugar you prepared. Bake at 350 degrees for about 18-20 minutes. While the rolls are cooling slightly, make the glaze. Stir together sugar, cream and vanilla until smooth. Add a little more cream if you to need to make it more pourable. 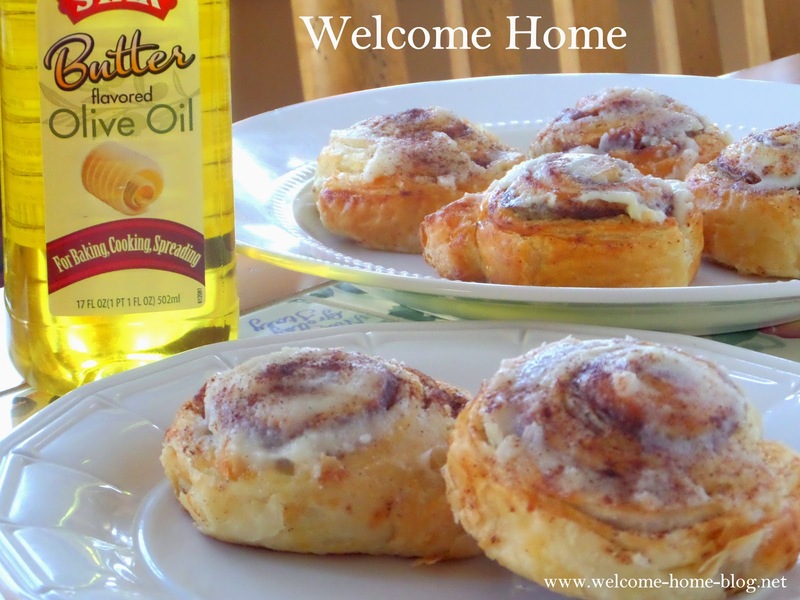 Drizzle all over warm rolls and allow them to set for about 10 minutes. Remove from pie plate and serve warm! 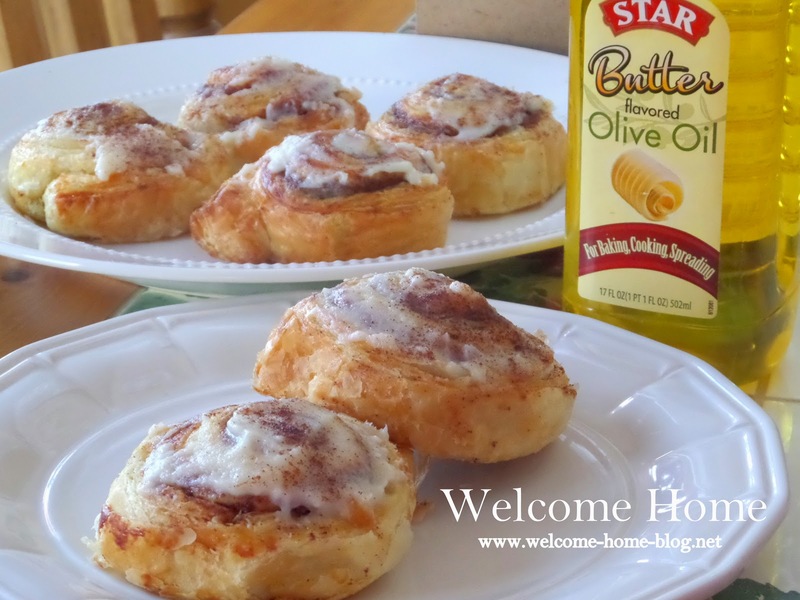 STAR Butter Flavored Olive Oil is available at Food Lion, Raley's, Stater Bros., FoodMaxx , select Walmarts and online at http://bit.ly/ButterFlavoredOliveOil.